W. Kenneth Davis, Jr. helps his health care industry clients design, structure and grow their businesses. Ken represents physicians, hospitals, ancillary service companies and other health care and e-health providers and businesses in transactional and regulatory matters. Ken counsels clients as they form new businesses, joint ventures, management and other service relationships, networks and other relationships aimed at integrating and improving the efficacy of the health care process. His work involves a myriad of matters including initial structuring and business model development, analysis of regulatory and reimbursement issues, private equity, debt-based and lease-hold financing, and mergers and acquisitions. He also regularly provides health care compliance counsel for clients. He is “highly regarded for his physician and managed care work” according to Chambers USA. Ken advises clients on many changing health care regulations, including the Affordable Care Act, the Stark Act, Health Insurance Portability and Accountability Act (HIPAA), the Federal Anti-Kickback Statute and several state laws and tax regulations. He counsels clients on financial matters such as reimbursement issues and private equity, debt-based and lease-hold financing. Prior to joining Katten, Ken served as vice president and general counsel for Princeps Inc., a Nashville, Tennessee-based physician practice management company focused on diagnostic radiology services. 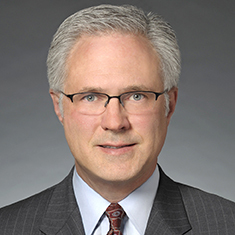 The company was the result of a merger between Healthcare Resource Management Inc. and Princeps Medical Practice Management Inc., which Ken co-founded and for which he served in dual capacities as chief operating officer and general counsel. Shown below is a selection of W. Kenneth’s engagements.